EXO‘s Suho, Chanyeol, and Sehun attended MBC‘s Idol Star Athletic Championships and their response to their fans’ support was truly touching. The SM Entertainment artists took part in the archery event and competed against Seventeen and Monsta X. Suho, Chanyeol, and Sehun ended up losing the event but their fans continued to cheer them on and yell out words of encouragement. In response to their fans’ adoring support, Sehun and Chanyeol asked fans to turn on their light sticks so that they could take a picture of their bright and supportive fandom. 팬석 이쁘게 찍으려구 차녈이랑 둘이서 에리들한테 에리디봉 켜달라구 열심히 손짓하는거 너모 귀엽다. 자기 폰 불빛 켜면서 알려쥬는것도 ? Chanyeol took a group picture with Sehun and Suho and uploaded it alongside an image of EXO-Ls and their huge supportive banner. He apologized for their loss and promised fans that they’ll win gold next time. Sehun also posted a collage of EXO-Ls and their banner with an apology. 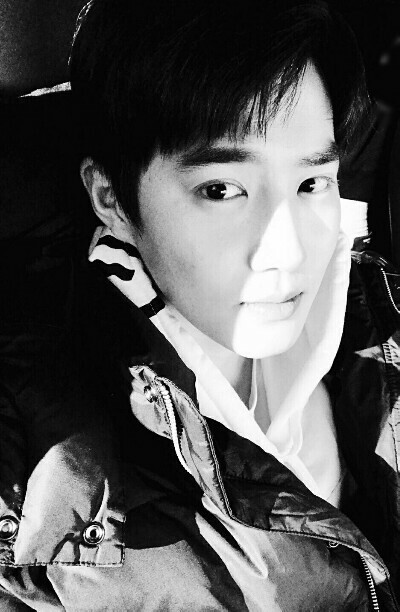 On EXO-L’s official website, Suho expressed his deep gratitude to EXO’s fans and promised to win next time. 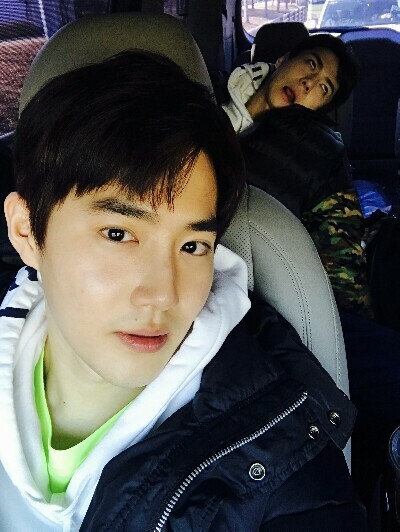 He also posted a picture of himself and Sehun in the car after the event, followed by a black and white photo of only himself. Now that’s how to interact with your fans!